Why Are We All So Lonely? A few months ago, I came across a headline in a major British newspaper: “Loneliness Is an Epidemic.” Curious, I googled the headline and the term and found that various contemporary doctors, writers, psychologists, and politicians are increasingly aware of the way modern people feel isolated, unseen, and profoundly alone. As I read numerous articles, I began to wonder, Are we lonelier than our ancestors? What I have come to believe is that yes, we are. There are certainly spiritual and emotional causes of loneliness that are common to every generation, but there are also cultural factors that shape our experience of the world, helping or hindering our relationships with other people. If we are to confront and heal our loneliness, I think we have to deeply evaluate the cultural patterns that separate and isolate us. We live in an age that makes real-life friendship increasingly difficult because the patterns of modern life make us strangers to each other. 1. We are lonely because we don’t stay in one place long enough establish roots. We are largely an uprooted society. Our mobile culture means we rarely know our next-door neighbors; we are no longer rooted to place, so we no longer have the instant and deep connection of a community bound to one another by a shared life in a single location. When I first encountered the writing of Wendell Berry, a farmer and poet who writes in defense of rural communities and of the grace of being rooted in “a place on earth,” I felt almost desperate to have the local life he described. I was ready to move to a farm for good if only it meant the possibility of belonging, of being deeply known and loved. For most of us, living a rooted life (in one place across multiple generations) is not a feasible goal. But where would I move? What if there is no land to return to (like Wendell Berry’s family farm)? What if God calls you somewhere else? My family moved twelve times before I was eighteen, always hoping to be able to settle for good, but that was never our story. It certainly hasn’t been mine as an adult either. While there were always good and often ministry-driven reasons for the moves, they were also driven by jobs in different places, by a mobile world that required us to keep starting over. We were part of a larger cultural movement that means few people stay in one place and few people know their neighbors. The world is on the move these days, which means many of us have never known long-term, place-based, unconditional community. 2. We are lonely because we are a society living in a largely virtual world. We operate our daily lives increasingly in the presence of the Internet, our screens drawing our attention and experiences away from the here and now into an anonymous, unresting, unrooted space. Social media provides connection of a kind, but it is no replacement for the gift of present, vulnerable, face-to-face friendship. What we portray online is an avatar of our true selves. Our online persona is a symbol we craft that stands in for us in the online universe. We have an immense amount of power in crafting it to reflect the best of what we are and what we love, but that also means we never present the fullness of ourselves—or receive it from anyone else. The sound bites of our social media statements and opinions never truly represent the depth and wonder and frailty of a real human being in person. The online world simply cannot offer us the intimacy of seeing someone at their best . . . and their worst, the grace of a friend’s embodied hug, the wholeness of an actual person with all their foibles and unmatchable beauty. 3. We are lonely because living in a virtual world distracts us from real connection. The problem is that the Internet, by its nature, is a profound distraction, one that draws our consciousness out of the real world and into the unending information of the virtual world. Complicating this is the fact that we often use the distraction of the online world to medicate the deep loneliness we feel; we can scroll through countless feeds, our phones the ever-present companions we wish we could find in real life. But there is a danger of so submerging our loneliness in distraction, of so immersing ourselves in the virtual that we become incapable of hungering for—and reaching out to grasp—true relationship. 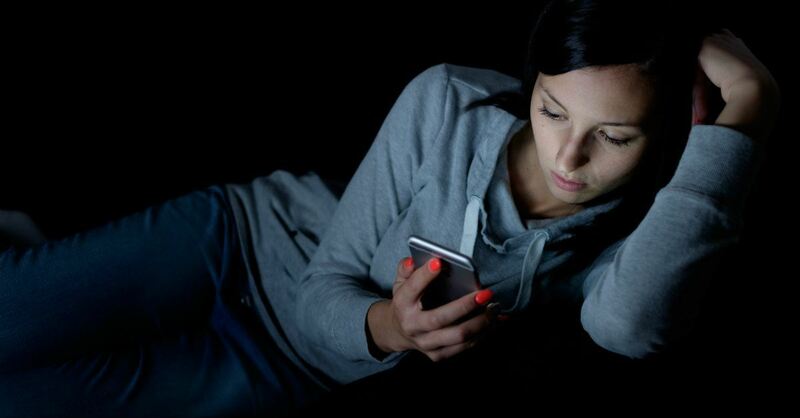 The fact that loneliness has become an epidemic in the internet age is no coincidence. It’s no wonder we are part of a world where loneliness is, indeed, epidemic. We are pervasively, existentially lonely, and I think it is important to recognize that reality in our frenetic age. Are we lonelier today than the generations before us? Yes, in a way, we are. 4. We live in a profoundly individualistic world, one whose modes of work, entertainment, and information train us to increasing isolation. We have to understand this and own the influence it has on our relationships if we are ever to live in gentle, intentional defiance of those patterns, confronting our loneliness and learning how to fight for the creation and maintenance of true friendship. So how do we fight against all of this and find deep, rooted friendship and community? As we combat the isolating patterns of life in a far-too-busy world, we must repeatedly examine our lives, our habits, our exhaustion, asking ourselves how we can step out of a frenzied loneliness and into a present connection, whether that’s a phone call to each other, a cup of tea with a friend, a summer away from Facebook, or the initiation of a local book club. We have to be ready to not just to find a friend, but to be one. 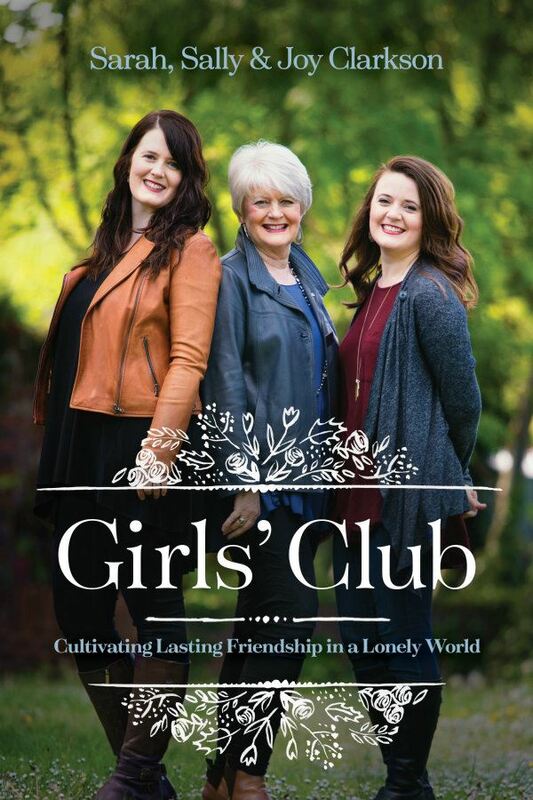 Adapted from Girls’ Club: Cultivating Lasting Friendship in a Lonely World by Sally Clarkson, Joy Clarkson, and Sarah Clarkson, Copyright © 2019. Used by permission of Tyndale House Publishers, Inc. All rights reserved. Sally Clarkson is a tea drinker, the head chef of her kitchen, and the author of many bestselling books, including the Lifegiving series and Different. She has inspired women for thirty-five years to live courageously and faithfully. She shares her wisdom on her blog, www.sallyclarkson.com, and on her podcast, At Home with Sally Clarkson and Friends. Sarah Clarkson is a feast-maker, path wanderer, and book devourer. She is the author of Book Girl, Read for the Heart, and Caught Up in a Story and the coauthor of The Lifegiving Home, and she is a recent graduate of Oxford University. She blogs at www.sarahclarkson.com. Joy Clarkson is a jet-setter, podcaster (Speaking with Joy), and people lover. She is currently working on her doctorate in theology, imagination, and the arts at the University of St. Andrews in Scotland. You can find her writing and podcasts at www.joyclarkson.com.